ENTERTAIN WITH A LAYERED CHEESE APPETIZER…..
Savory cheese is always a welcome guest at parties, especially in the form of an elegant, layered cheese torta. Here is a fast and easy recipe that you can put together for a New Year’s Eve party or other gathering. Serve this appetizer with a celebratory toast of champagne or perhaps sparkling pear cider. To save time, use quality ready-made pesto and sun-dried tomato spreads. Serve the cheese with plain water crackers or thin, crisp homemade crackers cut in holiday shapes like the ones shown in the photograph. Or serve with thin slices of French baguette or even fresh pita wedges. Happy New Year! 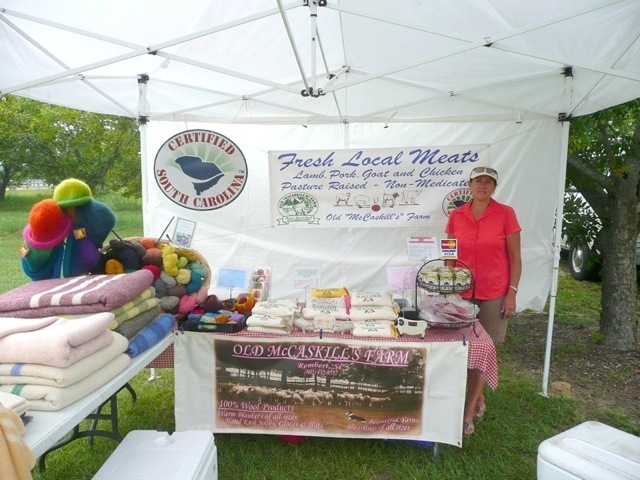 Line the inside of a 3 to 4 cup decorative mold, loaf pan or 8 inch round pan with clear plastic wrap; set side. In a food processor or large mixing bowl, process or blend all ingredients except pesto, tomato spread and garnishes. Spread 1/3 of the cheese mixture over the bottom of the mold; cover with the pesto. Add half the remaining cheese mixture; top with tomato spread. Spread remaining cheese mixture on top. Smooth cheese; tap pan on counter to eliminate any air bubbles. 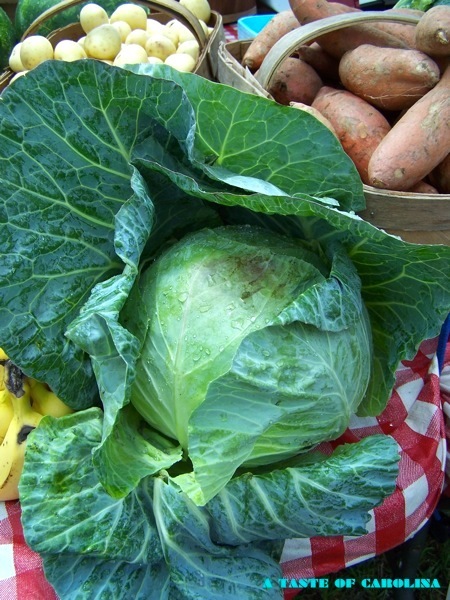 Cover with plastic wrap and refrigerate several hours or overnight. To serve, remove top plastic; invert cheese mold onto a pretty serving dish. 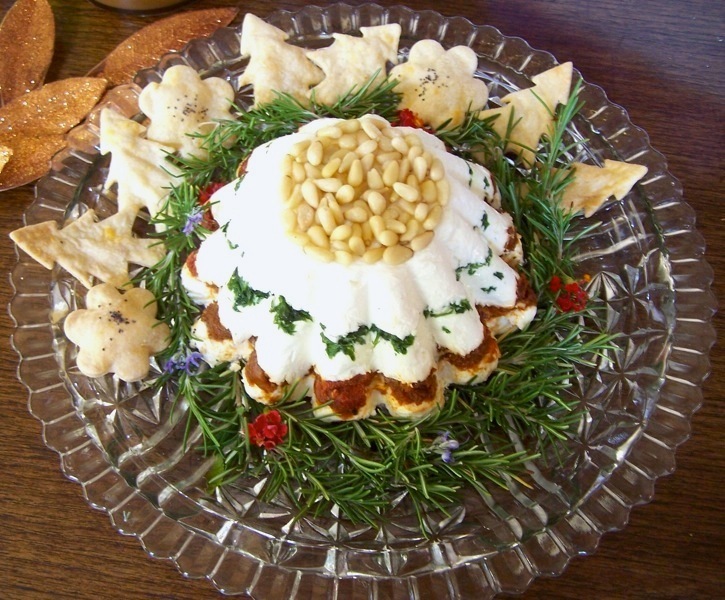 Decorate the top with pine nuts and add herb sprigs, as desired. Serve with crackers or sliced French bread. This adorable, tasty candy cane treat can be quickly made by filling the center of a “candy cane heart” with melted white chocolate or candy coating. Form the heart shape with red or green peppermint candy canes. (See the instructions below.) Here is the recipe for making about one pound of the White Chocolate Peppermint Candy Filling. It makes a great holiday gift packaged in pretty containers. For a different twist, don’t add the crushed peppermint candy but substitute your favorite coarsely-chopped dried fruits and nuts. You can also use a (24 ounce) package of melted Almond Bark or other candy coating; increase the crushed candy amount slightly. Line a large baking pan with foil. Melt chocolate in a dry bowl (NO MOISTURE) set over a pan of barely simmering water. Do not allow chocolate to get too hot. Stir often until melted. Mix in peppermint oil, if used. With a spatula, spread chocolate over the lined baking sheet; sprinkle top with the crushed candy. Let sit until white chocolate hardens or chill in the freezer or refrigerator a few minutes. 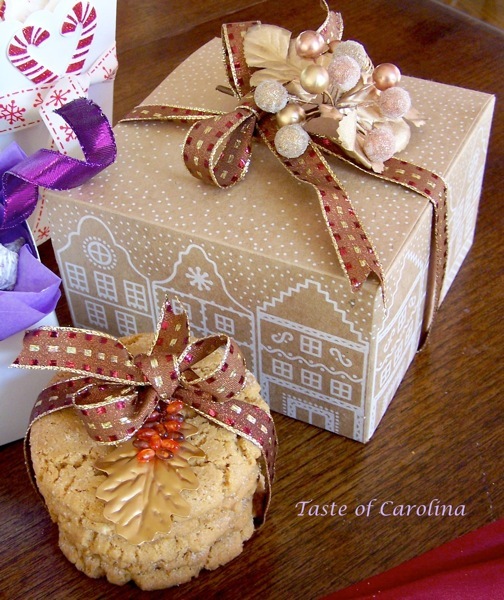 Break into pieces to serve or package in gift containers. To make Peppermint Hearts, melt six ounces chopped vanilla-flavored candy coating in a microwave-safe measuring cup or bowl on 50 percent power two to three minutes, stirring once or twice until smooth. On parchment or waxed paper, arrange 24 to 26 peppermint candy canes in pairs, each forming a heart shape. 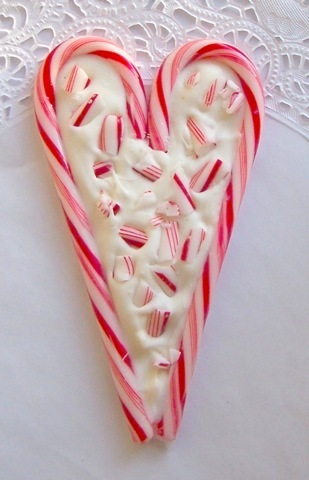 Spoon melted candy coating inside the center of the heart; sprinkle with crushed peppermint candy canes. Let the hearts sit at room temperature until set. Remove from paper. 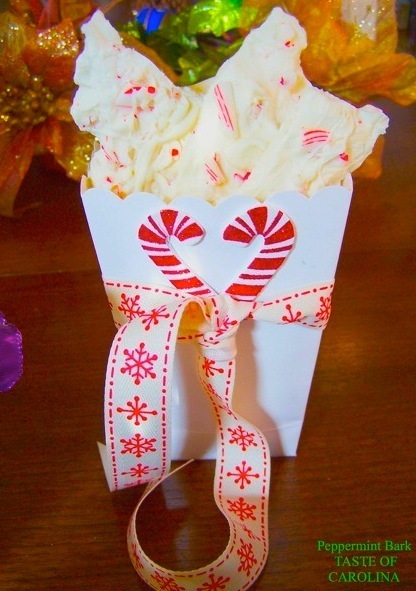 Dipped Candy Canes: Dip candy canes into melted dark or white chocolate then allow to dry on parchment or waxed paper a few minutes until set. Package in cellophane bags. 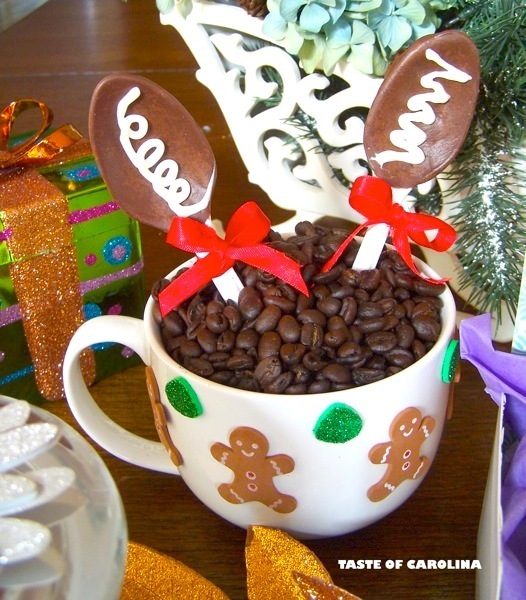 Use as coffee or cocoa stirrers. Today may be the busiest shopping day of the year so gear up if you plan to take part in the big surge. Last minute holiday shoppers are filling the stores to purchase their last minute gifts. If you dread the thought, but prefer to stay off the naughty list of your children’s teachers, acquaintances or neighbors, consider a lunch purse or a digital spoon scale (more information below), a cooking gadget, a cookbook, artisanal chocolate bars or even a gift certificate from Starbucks. 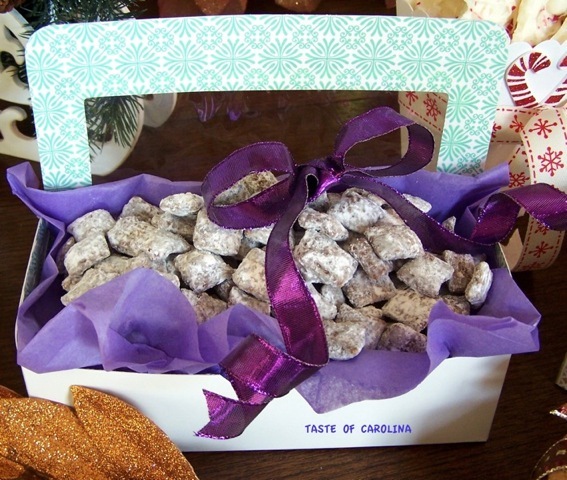 For a gift that is more personalized, prepare one of the quick and easy holiday treats featured in this post. If you love chocolate and peanut butter, a decorative container of Peanut Crisps or Chocolate Peanut Butter Crunch would please anyone on your list or make a thoughtful parting gift for friends who have dropped in to visit. Check back tomorrow for holiday treats that are even quicker to prepare. These simple, delicious cookies have five basic ingredients –and no flour! The dough can also be embellished with mini chocolate chips, chopped nut brittle or peanuts. Baked cookies can be drizzled with melted caramel or chocolate. Plain small-size cookies can be sandwiched with a chocolate filling made by gently melting 1 stick unsalted butter with 2-1/2 (4 ounce) bars of chopped bittersweet chocolate in a heatproof bowl in the microwave or set into a pan of barely simmering water. Preheat oven to 350 degrees. In a large bowl, stir all the ingredients together to create the dough. For large cookies, shape dough into 23 or 24 balls. Place on parchment lined baking sheets 2-1/2 to 3 inches apart. Flatten cookies slightly using the bottom of a lightly greased large Pyrex glass measuring cup dipped in sugar. Press cookies to about 2-1/2 inches wide. Bake 10 to 11 minutes until crisp and light golden. For crisper cookies, reduce heat; cook a few minutes longer. Watch to prevent excessive browning. For small cookies, use one generous tablespoon cookie dough per cookie Pressing dough is optional; bake 8 to 10 minutes. 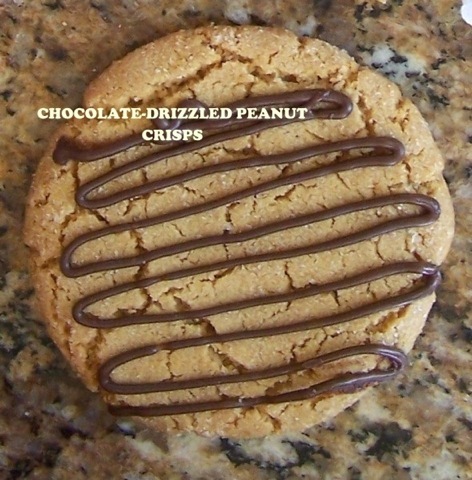 Cool and pair cookies with the chocolate filling mentioned in the intro material. This recipe has been in my files for years and I forgot about it. I made a batch again this year and everyone went crazy over it -you can’t eat just one piece! Recipients on your holiday gift list will be delighted to receive a generous portion in a decorative canister, a colorful Chinese carry-out box or in a clear cellophane bag tied with raffia. This recipe makes a lot! In a medium saucepan, melt peanut butter, butter and chocolate chips over low heat. Put cereal into a large bowl, pour in chocolate mixture; mix well. Pour half of the confectioners’ sugar into a large zip-top plastic storage bag. Spoon half the cereal mixture into the bag. Shake well to coat. Remove to a large bowl. Repeat process with the remaining sugar and cereal mixture. Store the crunch in an airtight container. Package in small containers for gift-giving. Spritz cookies are a classic Christmas cookie. They are a specialty throughout the Scandinavian countries and in Germany, where they are known as Spritzgebaeck. The word “spritz” is German for spritzen, which means “to squirt.” Americans have enjoyed baking these crisp, buttery cookies for decades. They are a “must” on my holiday table, as well. Spritz are basically a simple butter cookie, made with flour, butter, sugar and flavoring. Some versions call for ground almonds or almond paste and even cooked sieved egg yolk. A favorite recipe for one American-style version can be found below, and calls for cream cheese. With the recipe, I included lots of tips for better baking. 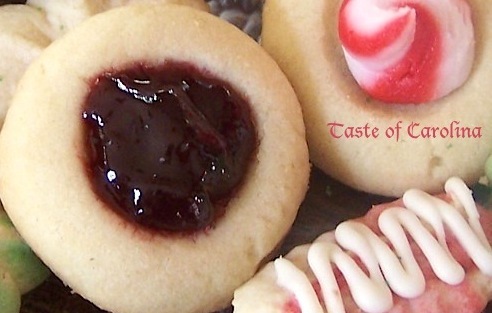 If you don’t own a cookie press, you can easily find one for purchase. When the dough is squeezed through the decorative templates of a cookie press, you can make charming little trees, logs, stars, flowers, wreaths and other shapes. I often use my grandmothers cookie press, an old-fashioned device that still works well. I also like to pipe dough through a pastry bag and open star tube to create rosettes and wreaths. 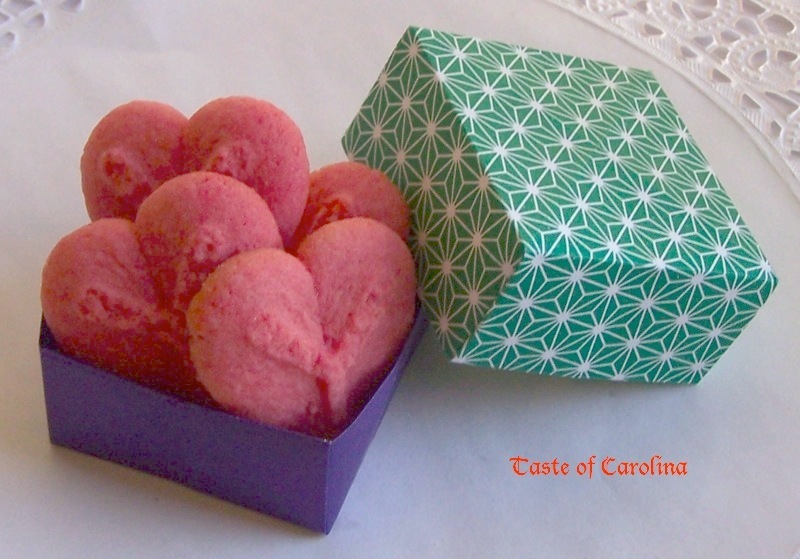 The dough can be tinted with a little paste color (or food coloring) to create a rainbow of colors. Then decorate the unbaked cookie shapes with candy sprinkles, chopped nuts, bits of candied fruit, colored sugars and other enhancements. The baked cookies can be enhanced with frosting or dipped into melted dark or white chocolate. Decorate with candy sprinkles or chopped nuts, if desired. For thumbprint cookies, the dough can also be rolled into balls and baked, then filled with jam, ganache or lemon curd. Since only a few ingredients are used in Spritz cookies, they must be top-quality, especially the butter. 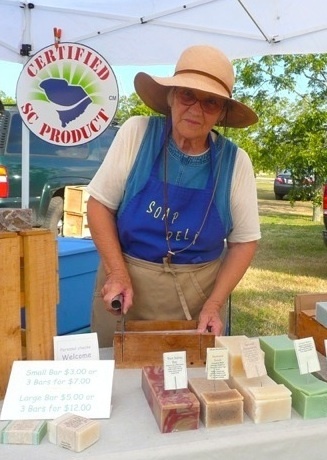 I use unsalted butter like Irish Kerry Gold, Plugrá or Land O Lakes®. The first two mentioned are European-style butters with a higher butterfat content than most American butters. The rich grassy diet of Kerry Gold cows give the butter it’s special tang. To fully appreciate the wonderful taste, try spreading some on a piece of crusty bread. Always avoid synthetic flavorings when baking. Use pure quality extracts like bourbon vanilla or pure almond extract. For another favorite Spritz cookie recipe, pick up the latest copy of Columbia Metropolitan Magazine to read my article, 13 Christmas Gift Recipes. The Spritz cookie recipe in this article calls for pure almond paste – one of my favorite baking ingredients! Preheat oven to 350°F. With an electric mixer, cream butter and cream cheese together until smooth. Beat in sugar until mixture is light. Blend in egg yolk, vanilla and almond extracts and salt. Slowly pour in the flour; blend just until the dough forms. Shape small amounts of dough into a short log, then fit them into a cookie press. Or, put soft dough into a large pastry bag fitted with a large #4 open star tube. Press (or pipe) cookies onto an ungreased, heavy duty baking sheet, about 1-inch apart. (Decorate, if desired.) Bake 10 to 12 minutes or just until cookies are light golden brown around the edges. (Your oven temp may be different from mine, so check cookies after 10 minutes.) Remove from baking sheet; cool completely. Decorate with frosting, if desired. Store in an airtight container about one week. 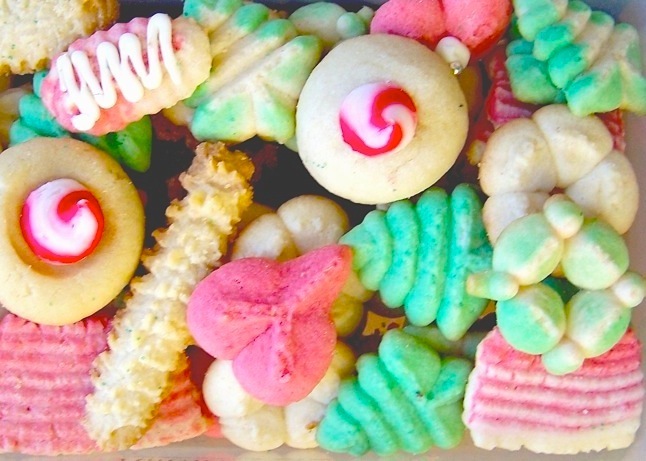 Cookies can be packed in air-tight containers and frozen. Makes 6 to 8 dozen cookies, depending on size and type of cookie you make. Eliminate almond extract and add lemon or orange extract. Eliminate almond extract and add 1/4 to 1/2 teaspoon ground nutmeg, mace or cinnamon. Get creative by adding other flavors like edible lavender, cardamon, grated fresh or powdered ginger, rose extract, grated orange or lemon zest. 1 cup butter is also 1/2 pound or 2 (four ounce) sticks. Retailers like Williams-Sonoma or Wilton sell quality cookie press. Wilton supplies can be found in places like Michaels or Jo-Ann’s Craft Stores. It is best to use a heavy-duty, shiny aluminum baking sheet (ungreased) so dough will adhere. Don’t use a nonstick cookie sheet because – the cookies just won’t stick! The same goes for parchment paper and silicone baking mats. Avoid using thin-bottom baking sheets; cookies can easily burn underneath. If browning too fast, slip another baking sheet under the pan of cookies to cushion from excess heat. Stir flour in container to loosen, then measure using the “dip and sweep” method. Level top of measured flour with a blunt knife. Don’t pipe dough on warm baking sheets; dough will melt before baking. Use baking sheets at room temperature or cool. PRACTICE MAKES PERFECT! Test-press a few cookies with a small amount of dough. You need to press out just the right amount to create a well-defined cookie shape. Scrape up the test dough and practice again. If you use a pastry bag and tube, the exact consistency of the dough isn’t as important. The pastry bag and tube can be washed and used over and over. It is great for piping clouds of frosting on top of cupcakes too. To color the dough, add small amounts of paste color to a portion of dough with a toothpick. Blend lightly until color in incorporated. Red and green are good holiday colors; softer colors are more appealing. For two-tone cookies, press together a small amount of plain dough and tinted dough; fit into the cookie press for pressing. Shape dough into round balls then press a slight indention in the tops with the end of a wooden spoon or your finger. Bake, then fill cookies with jam. When cookies come out of the oven, cool a minute or two, then carefully run a thin metal spatula under each one to loosen. Let cookies cool a few minutes more, then remove to a rack or other surface to cool completely. When freezing cookies, separate layers with parchment or waxed paper. Wrap well to preserve fresh flavor. Totally unrelated food fun! If you are still dreaming of cookies and other sweet (or salty) things, check out the new German Food Hotel in Neuwied, Germany at http://www.food-hotel.de/main/. You can translate some of the page into English. The hotel, created along with the help of 36 popular German food manufacturers, is designed around special food themes. The chairs even resemble grocery carts. 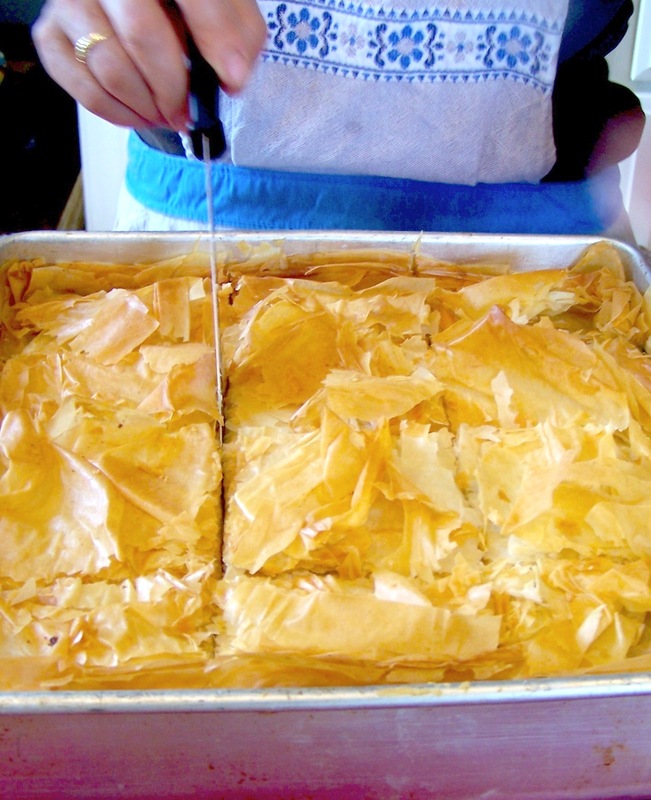 Here is one of my favorite recipes for Spanakopita – a Greek spinach pie with flaky phyllo pastry. It would be delicious served along with roast lamb and new potatoes for Easter – or at anytime of the year. A dessert made from lemons would be the perfect finish. Spanakopita also makes a satisfying meal with a hearty Greek salad on the side. The Greeks often serve this dish as a snack.